Father William Kennedy standing outdoors. 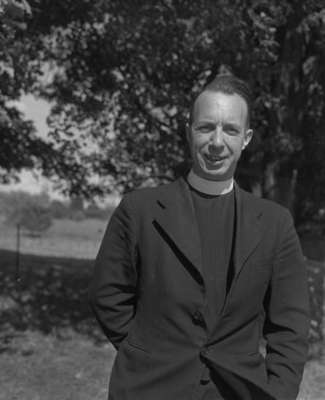 Father William Kennedy, 1948, Marjorie Ruddy. Whitby Archives A2013_040_1130.